When you think of Nintendo, the first images that jump to your mind are probably fairly predictable: Mario, Luigi, Yoshi, Donkey Kong, maybe even Zelda or Link, that guy with a sword that's always trying to save the princess. That's what I thought. While the series has been around for more than a decade (debuting in 2001 with the original "Pikmin" for the then-current generation GameCube console), it's remained one of Nintendo's best-kept secrets — never possessing the star power of "Super Mario Bros." or the cultural ubiquity of "Super Smash Bros." And to the uninitiated that only know Nintendo as the company that makes "Mario Kart" games, that's a shame, because, well, "Pikmin 3" is one of the best video games I've played in years. "Pikmin 3" begins with the three astronauts you control being marooned on a mysterious planet during a space expedition they were conducting in search of food. 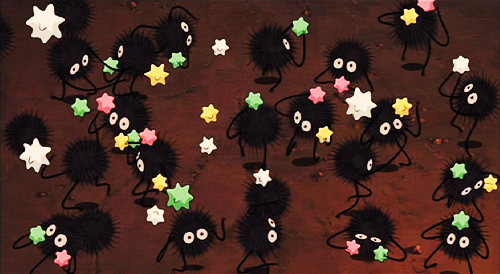 As you begin to explore your new Earth-like surroundings, you encounter a series of brightly colored bug-eyed sprites (the titular Pikmin) that look like a cross between Wall-E and the little coal-puffs from "Spirited Away." These ridiculously, almost painfully, adorable critters become the main tools in your arsenal to scavenge for rations. Navigating the hazardous terrain of each gorgeously-realized level in the game's single-player campaign requires tactful use of the Pikmin to do everything from build bridges and tear down walls to slay gigantic spiders. Need to break through a wall of ice? Try hurling a group of the hefty Rock Pikmin at it. Want to conduct an electrical charge to light up a room and scare away bats? Send Yellow Pikmin into the high-voltage zone. Just don't send either of them into the water; that's what the Blue Pikmin are for. And unlike other real-time strategy games like "StarCraft" or "Command & Conquer," your commander in "Pikmin 3" is literally in the trenches next to the foot soldiers, deftly (or, in my case, clumsily) aiming the different-colored Pikmin at enemies or pieces of fruit. The phrase "herding cats" comes to mind when trying to describe "Pikmin's" gameplay, which helps explain what makes this game feel unique and comfortably familiar at the same time. Like any good Pixar movie, it artfully balances equal parts of joyfulness and pathos to tell its story. The cutesiness of the Pikmin can seem sugary to a fault at first, but the game's central objective — gathering food for survival — jolts every puzzle with emotional urgency. And for what appears to be a children's game at first glance, "Pikmin 3" is hard. Rather than setting up an arbitrary series of levels players can peruse at their own pace, the game sets all of its challenges against the emotionless face of a clock. You have from sun-up to sundown to find enough food for the next day, and any Pikmin that perish in-between are up to you to replace by harvesting more flora and fauna. The manual labor invested in making each day of "Pikmin 3's" campaign successful sets it apart from pretty much any other strategy game I can remember playing recently, as the simply beauty of the game's animations and the ruthless difficulty of its mechanics make you for more emotionally invested in keeping your troops alive than, say, a match of "StarCraft 2" ever does. But there's something else that's equally important that sets "Pikmin 3" apart from other placeholders of the real-time strategy genre: it's coming out exclusively for the Wii U console. As I've reported many, many, times now, Nintendo's new-ish console hasn't been doing the company much good. Less than a year on the market, the Wii U's sales took a particularly sharp nose-dive this past fiscal quarter. Nintendo itself has now admitted that it is to blame for the persistently weak Wii U sales, and even suggested that it needs some new franchises to throw into its predictable mix of games. A brand new Nintendo franchise sounds intriguing. But after playing "Pikmin 3," I'm not so sure if churning one out simply for the sake of making something new is such a good idea. As Wedbush Securities analyst Michael Pachter told me back in April, the company already has plenty of IP. What's important is what Nintendo chooses to do with it. 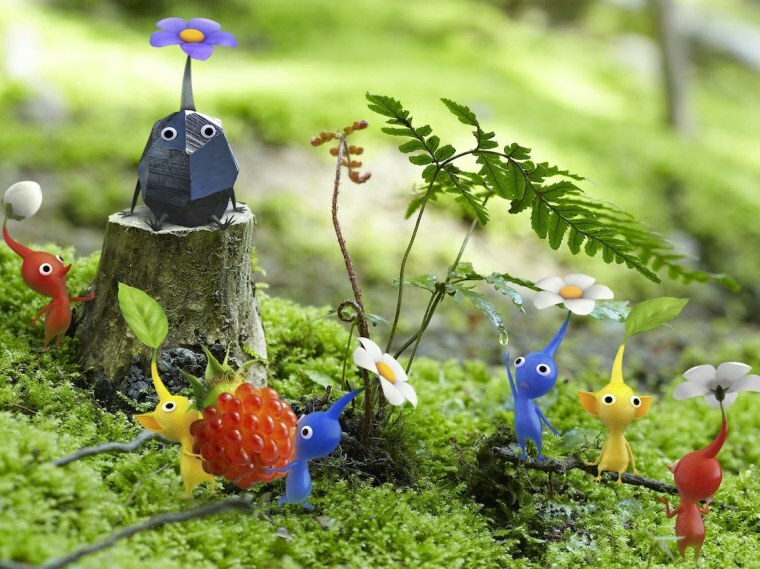 "Pikmin 3" may not be "new" in the sense that Nintendo fans have been able to toss around these adorable little creatures since the early 2000s. But it's new in the sense that the "Pikmin" series is still evolving, still growing and improving over time, whereas every new "Super Mario Bros." game is basically the one before it with slightly better graphics. Simply put: I could leave gaming behind content with the fact that I never got the chance to play the next Mario game that Nintendo will inevitably release. Not so with Pikmin. I don't know if "Pikmin 3" is enough on its own to convince curious gamers to invest in a Wii U. But it's the first game that made me truly appreciate the new console. As one video game writer put it to me on Twitter recently: "I want to want a Wii U." Well, "Pikmin 3" is a start.